Working with local women-led businesses is definitely a passion of mine. It's safe to say that I know what they're going through.. and creating beautiful photographs that can be used to promote their business is one of the most important pursuits in my photography. Haus of Pretty is owned by Kelsey. The salon is based in Westport (yay!) and she specializes in hair (cut, blow-dry, color, balayage, etc) and makeup. She also has super-easy online booking, which, as a parent, makes all the difference. Most of all, I love the fact that Kelsey takes the time to make sure everything is perfect and to her high standard before she is finished with each client. THAT, is something I can relate to and appreciate! Having an on-site hair and makeup artist is a beautiful thing for photoshoots (and yes, Kelsey travels for weddings and photo sessions!). While our photoshoot was specifically to capture promotional images for Haus of Pretty's website and instagram feed, you can have the same experience for any photo session. 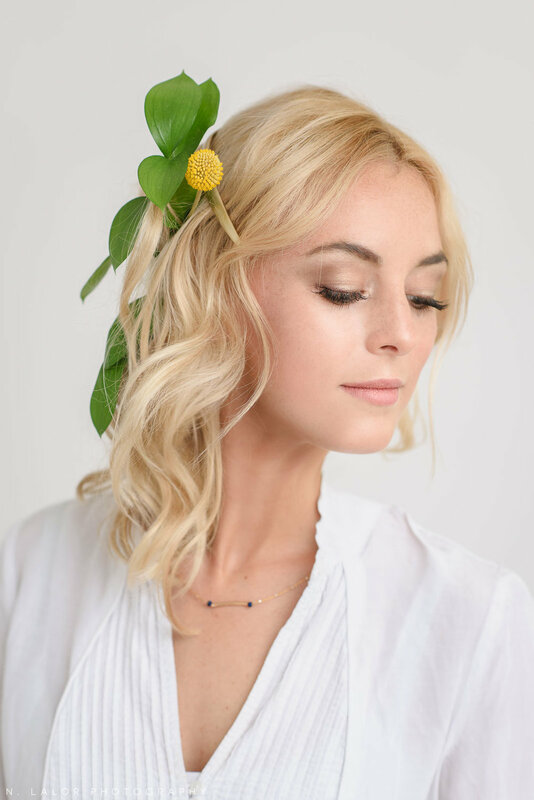 Kelsey did the makeup (starting from a natural look and going to more bold), paired lipstick colors with outfits, and and styled hair (starting with a relaxed natural look and taking it to a fancy updo in the end). What most people don't realize is that hair and makeup are a huge part of creativity in an image. It's that brilliance that takes something from ordinary to simply gorgeous. And having a creative collaborator on a photoshoot who is as good at what she does as Kelsey is absolutely divine. Here is just a sample of the images we captured that day, and be sure to follow everyone involved to see more as they get posted on social media in the coming weeks.